Becky & Joe, are Becky Sloan and Joseph Pelling. 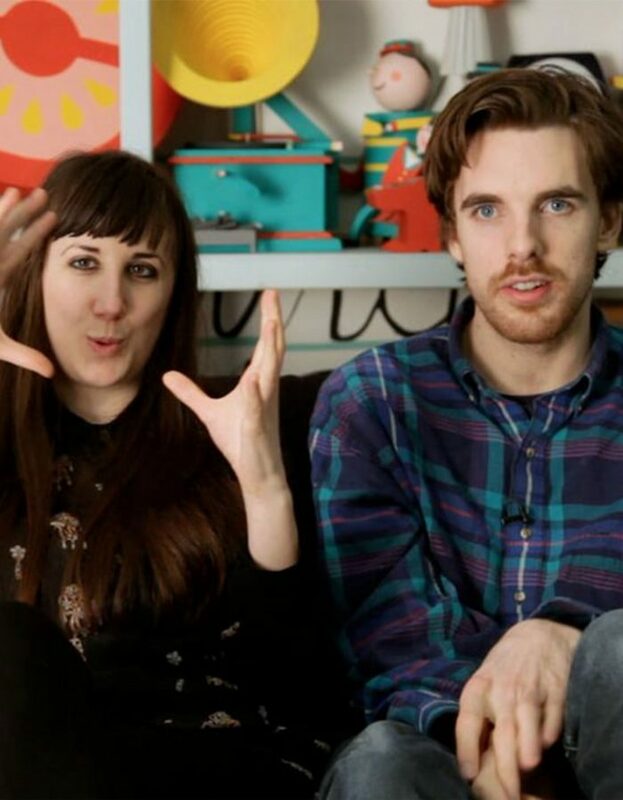 They are directors on a mission to make the world more fun, armed with an adventurous hand-made approach to animation and an absurdist sense of dark humour. Their 6 part short film series ‘Don’t Hug Me I’m Scared’ produced by Blink Industries offers Becky & Joe’s darkly humorous view on the world. The first five episodes are complete, collectively racking up over 73 million views on YouTube, screenings at countless festivals worldwide including Annecy, SXSW and Sundance. With a dedicated community of fans worldwide, Don’t Hug Me I’m Scared has gone from viral hit to cult phenomenon. St John Ambulance – Nursery Rhymes Inc. Breathing life into well loved characters, the duo utilised their versatility and creativity designing and puppeteering all the characters along with support from Blinkink’s veteran puppet wizards Jonny & Will. Taking advantage of connections from Blink Industries, Blink’s TV development and production company, the cream of British comedy talent was brought into voice the nursery characters, including Adam Buxton as Humpty & Tim Key as Incy Wincy. ‘If only there was some way to learn more information about the world!’. Your prayers have been answered; Don’t Hug Me I’m Scared is here to teach you about the cyber world – it’s easy to be a smart boy if you can do it all digitally. With the previous three episodes jointly amassing over 40 million views on YouTube and gathering a legion of devoted followers across the globe, DHMIS is an internet sensation. It was these dedicated fans who helped fund the Kickstarter campaign which made the series possible. Produced by Blink Industries this journey to the digital dimension was created using a combination of puppetry, 3D animation and stop-motion models with lyrics and music written and composed by Becky and Joe. “The 6th and final installment of Becky & Joe’s darkly humorous youtube series, Don’t Hug Me I’m Scared was released on June 19th and has already racked up over 5 million views in 2 days!